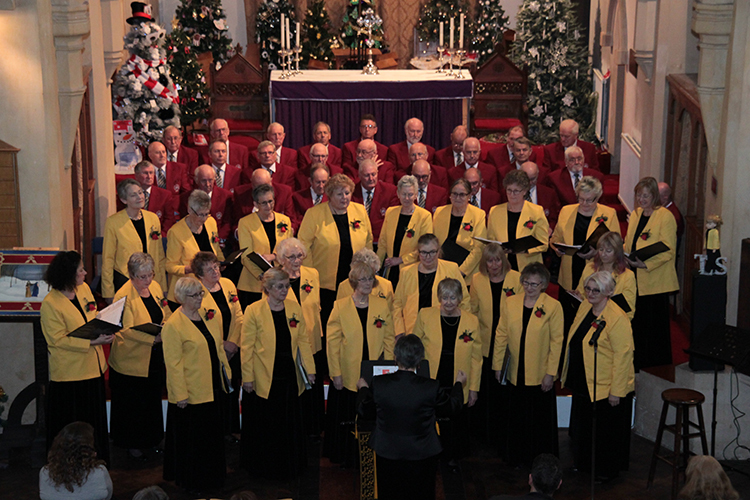 Annual Christmas Concert by Torpoint Lady Singers and Rame Peninsula MVC at St James Church, Torpoint, on Friday 15 December 2017. 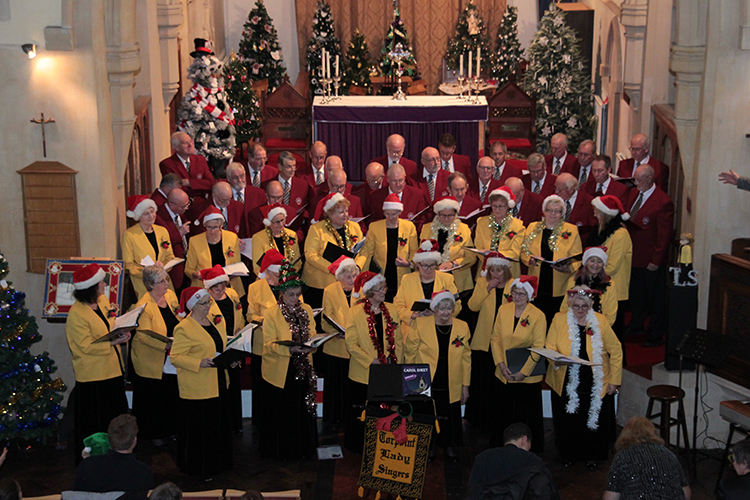 The Annual Joint Christmas Concert of the Torpoint Lady Singers and the Rame Peninsula Male Voice Choir was held as usual in St James Church, Torpoint. The audience was treated to a refreshing programme of seasonal music, assisted by some extra items that provided the icing on this special musical cake.